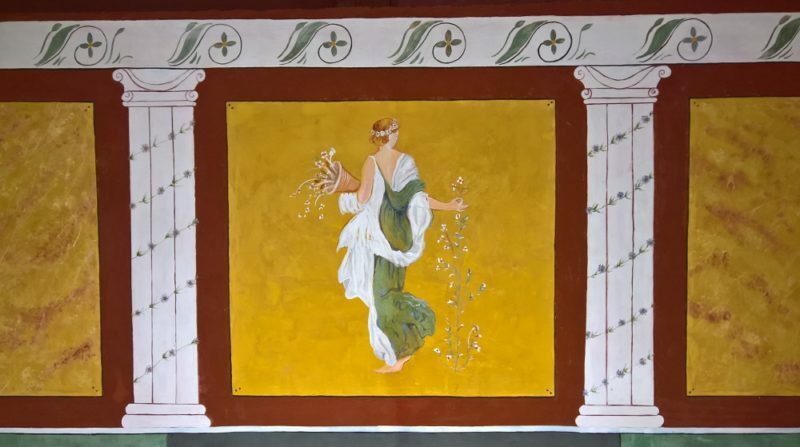 Volunteers at the Avalon Marshes Centre, near Shapwick, have been developing their artistic skills by recreating Roman frescos. 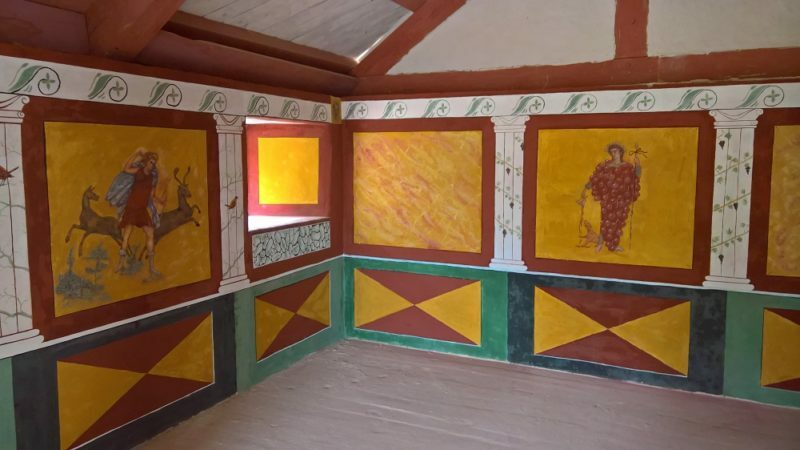 Their work appears on the walls of a Roman dining room, one of the reconstructions being created at the site by the Trust. The Hands-on Heritage volunteers meet every Wednesday to work on the reconstructions. For the frescos they received training from expert Fleure Kelly and although none of them had attempted anything like this before the results are very impressive. The geometric designs replicate schemes from Roman villas in Somerset, Dorset, Kent and the north of England. For most of the figurative parts of the frescos they had to look elsewhere in the Roman Empire, including to Rome and Pompeii, for complete scenes to copy.